Manny and Sarah needed help to get their investment strategy on the right track. A three-day boot camp with Dymphna Boholt tipped them off to a coming real estate boom, and they used it to launch a brand new life. Sydney’s recent property boom has gifted Manny and Sarah with huge capital growth over the past four years. For a long time, though, their portfolio was going nowhere. They had purchased four off-plan units in 2003. They eventually sold one at a loss, one to break even and one for a modest gain, but between the costs and the time spent, they considered their investments to be losses overall. At the end of 2010, between their PPR and the remaining investment property, they found themselves with $440K in equity and no strategy for moving forward; however, at an Ultimate boot camp in Noosa, Dymphna showed them piles of data indicating an upcoming boom in Sydney. All they needed to do was maximize their starting funds and buy in the right areas, add value, then watch their capital grow. With attention to detail and some smart decisions, Manny & Sarah managed to land three great deals and increase their equity position to $2.5 million in four years. The first step was to gain as much equity as they could in their existing properties to maximize their purchasing power. They did some cosmetic renovations to their PPR and their one investment property, then drew down their equity to make the next purchase. To get the most out of their money, Manny and Sarah bought unregistered land in the Sydney’s northwest from a developer and constructed a 4 bedroom house on it for immediate capital gain instead of buying off-plan. Because they had done their research and were paying close attention to market details, they were able to take advantage of an offer to waive stamp duty by beginning construction within 26 weeks of the purchase. The land and construction cost $676K, and the property is now worth $1.2m, equating to $174K a year for three years! Manny and Sarah worked with Investor Legal Network to tap their Self-Managed Super Fund for the next deal. They found a house in The Hills, but the buyers market was very competitive. They needed an edge to make sure their offer was accepted. The seller’s agent asked for offers in writing at 3 pm and would accept the highest bid. Manny had done careful research on RP Data and was prepared to spend $646,000 on the house. But instead of bidding the exact amount, he bid $646,100. Manny’s intuition was right. The next highest bidder had offered exactly $646,000, and the they won the deal. The sale closed in October, 2013. Since then, the property has appreciated in value to $840K in 2015, for a gain of nearly $200K in a year and a half. By early 2014, Manny and Sarah were able to draw down the equity from their first deal to help with a new purchase. In Sydney’s West (30 KM from the CBD), they came across an excellent property with a unique feature. The house had been built for dual occupancy but was now occupied by a large family who had converted it into a single-family home. This presented a perfect opportunity for Manny & Sarah to restore it to two units with relatively low expense and no challenges in council. After spending a total of $730K on the purchase, fees and renovation, they were able to immediately rent both units for neutral cash-flow, and the property has now been revalued at $850K, a gain of $120K in one year. Keeping well-informed has enabled Manny and Sarah to stay ahead of a favourable market, putting them in a strong position. With $2.5 million in equity at their disposal, they could draw funds from some properties to pay off others and create as much as $50,000 in passive income if they decided to retire. Instead, they’ve got their eye on larger deals for even greater growth moving forward. They have also seen the value of having a strong financial position in recent times. Sarah’s mother passed away not long ago, and her brother is being treated for cancer, so Manny and Sarah have provided financial support to their family. They are also providing aid to friends in their homeland, the Philippines, who were affected by the recent typhoon. Manny says that following Dymphna’s investing strategy has really improved their mindset and their lifestyle. They pay more attention to education, spend more quality time with family and friends, and are now teaching their two daughters the same values. 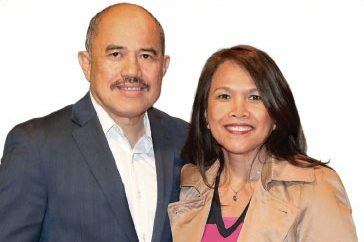 Manny and Sarah have continued to add to their property portfolio, which now has an estimated value of over $6 million with $3 million in equity. Time to retire? “No, we love it”, they said. With Dymphna’s education and having developed a millionaire mindset, they enjoy what they are doing. They have recently started the “Property Developer Success” Course with Jason and Amy. Capital Growth of $524,000.00 in 3 years! Capital Growth of more than $145,000.00 in 20 months! Capital Growth of $120,000.00 in 12 months!